What is a State Sponsorship? 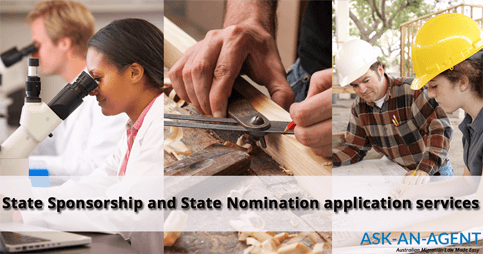 A state sponsorship, sometimes also referred to as state nomination, is the nomination by an Australian state to skilled visa applicants and business people. A state sponsorship is required for some visa subclasses under the General Skilled Migration stream. A state sponsorship is not a visa application, it is however compulsory for applicants to meet the requirements for specific visa classes in Australia. Which visa classes require a State Sponsorship? There are also visa classes under the Business, Innovation and Investment visa steam which require a state sponsorship. What is the advantage of a State Sponsorship? ten points for the Skilled Regional (Provisional) visa (subclass 489). How can I apply for a State Sponsorship? You can apply for a state sponsorship by lodging an Expression of Interest. Applicants are select in occupations listed on the State Migration Plans. State Migration Plans differ between states in Australia.